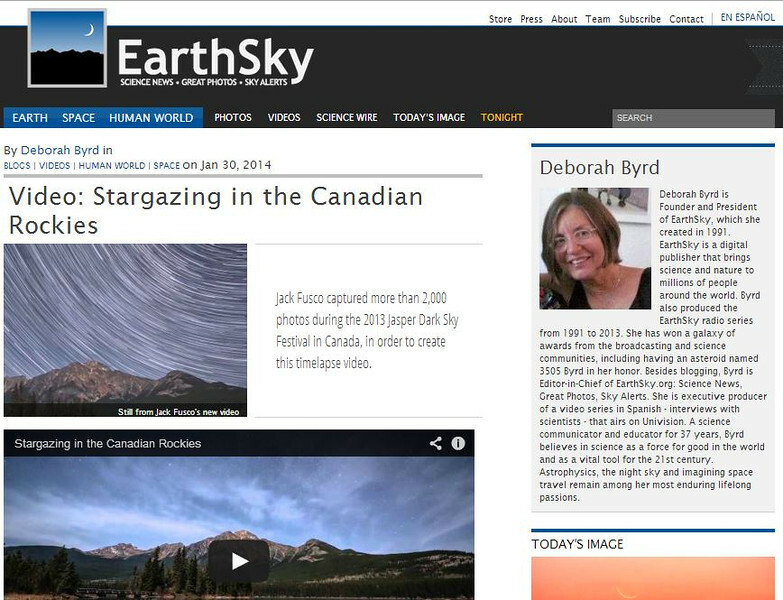 One of my favorite sites, EarthSky.org, have posted a link to my latest timelapse from Jasper National Park. Head on over to their site to check it out! If EarthSky is new to you, take some time to look around and enjoy all of the wonderful content on the site!